If you have any interest in sales, marketing, or even just being able to influence others in any way, there is a great book called ‘Influence – The Psychology of Persuasion’, by Robert Caldini. Caldini gives several main principles or ‘laws’ which cause people to make the decisions that they make, and which can be used to influence and persuade others. One of these laws is ‘reciprocation’, which basically says that when people are given something, they feel a compelling need to reciprocate (give back). So how can we use this principle in our tennis programme? By offering something for free. Just a quick note first though – I’m not suggesting lowering your prices. That just makes you look desperate and indicates low quality. I’ll write another post with my thoughts on prices soon. And I’m not suggesting giving too much for free, for the same reason. This has become the norm now in my area. When anyone enquires about any kind of tennis, I’ll offer them a taster session. This could mean them having a 30 minute hit with me, or if they are a family, I’ll hit with all of them. Or it may involve joining a group session (adults or children). It’s just a no brainer. You will give them a good session and they will then sign up for more. That takes people to a little form to fill in. Contact me if you need help creating a form like that one. 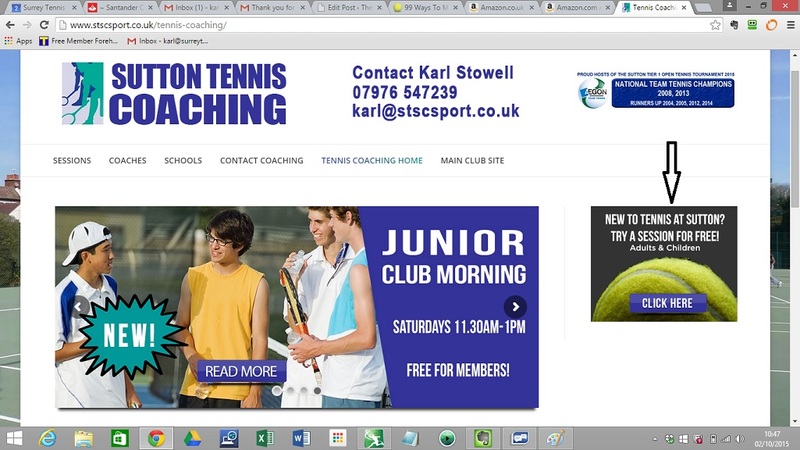 In Part 12 of this series – Schools, I wrote about the power of schools in marketing your tennis programme. Free demo days are a great way to build a relationship with the school and also to generate interest and excitement amongst the children about what you will be offering. Case Study – I recently took on a new primary school. We agreed that my team would run 2 after school groups per week in the summer term. I offered a free session for every class in the school in order to build up interest. This meant coming into the school for 2 whole days, taking one class of 30 after another for 30 minutes until I’d seen every child in the school. Of course, I tried my best to run great sessions and get the kids really excited to do tennis. The leaflet directed them to a web page where they could register their interest. 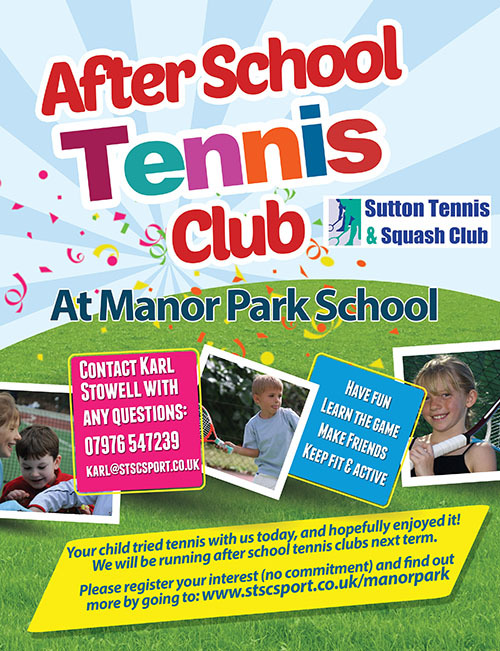 The end result – our after school tennis lessons with this school were over subscribed and a link has been formed that will hopefully last for years. Again, contact me if you need help creating the web page or leaflet. There are other occasional free events that you can offer, but in the interest of keeping this post short, I will leave it there. I like the sales psychology of the law of reciprocity. Tristan Weatherburn tells a story about how a salesforce selling a ten dollar raffle tickets only made sales when they kindly bought a person a coca-cola from a vending machine on a hot day before they asked them to buy the raffle ticket. 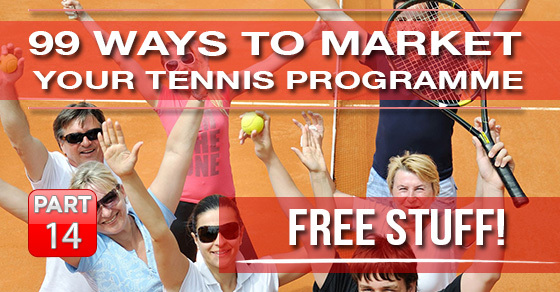 I have seen this work when I did free events to get people interested in my clubs programs. Also a previous club I worked at was big on visiting schools. I don’t know if they utilized a full demo or not. Great post, it is really true that people will reciprocate when you offer them something free, and everyone loves to get free stuff from sales counter. So it is a great sales strategy which all organizations, sports channels and school authorize should try as they can promote their programs through this way.